Rise Of The Ape! | Enough Talk, More Writing! Interesting news. All aboot the rise of a certain ape. Betsy. 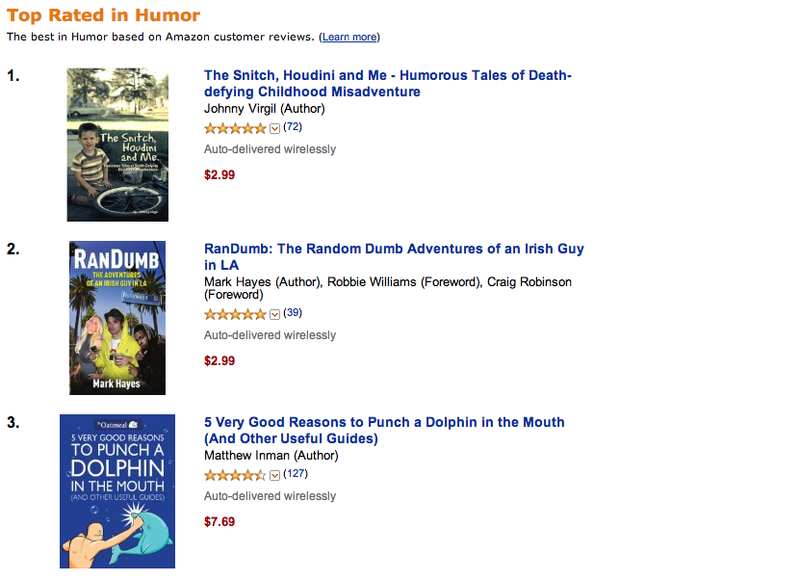 Randumb has been climbing the Amazon top rated Humour charts like there’s no tomorrow! Chart topping. Show stopping! Notified that it was in the top 40. 30-something. Hmm. Interesting. 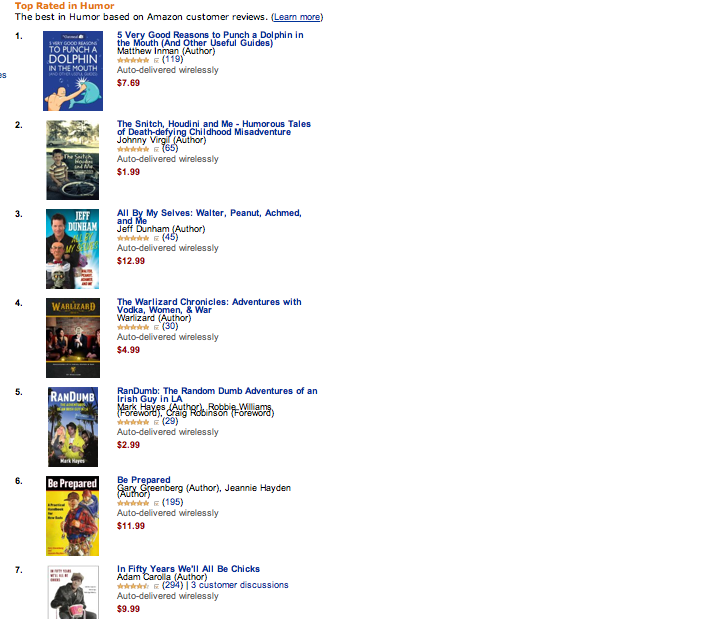 Few places above Tina Fey’s book. Sure she’s gutted. Checked the next day. 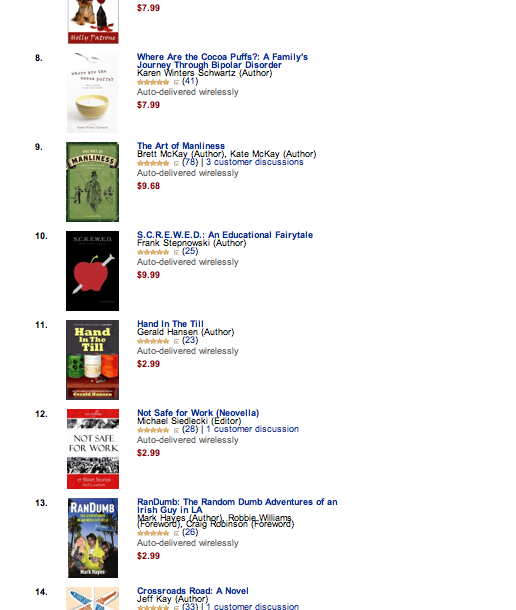 Into the top 20. Mighty. Climbing. Giddied up over Jimmy Fallon’s book! Again. I’m sure he’s freaked. Let’s look again on Friday… Lucky #13! With all the poetry of the beat generation, reminiscent of Jack Kerouac’s free form prose, this is a mind trip into our modern collapse of society…an intriguing study on the continued pursuit of the “American Dream” and what it has decayed into. 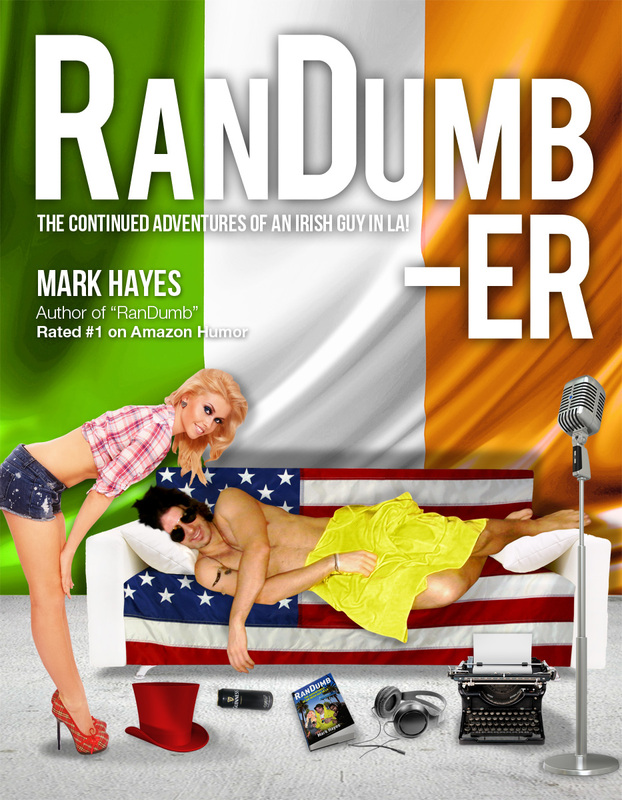 Mark Hayes is a visionary… can’t wait for the prequel! What do you think of my friend? Look over to where she’s pointing. In fairness, her friend at the bar was a good looking girl. In fairness, your friend is good looking. Well, think about it… OK. I will. 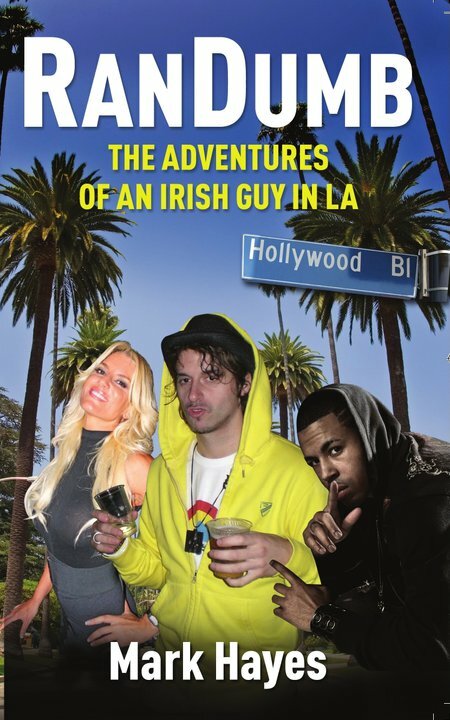 Don’t forget to buy my book. Deal? Deal. Done. Music finishes up. Packing up my stuff. About to leave. Farmer Joe comes back over to me. Well, are you coming back? My friend is excited. He can’t wait! Have you bought my boo- Pardon? Say what? Your friend who? He? Can’t wait? What? Explain what you just said again… My friend really wants you to come back. Who’s your friend? The hot gay boy over there… Ha. Oh the dude next to the girl at the bar? Oh right. Well then. Wait right here. I’m going to go drop my stuff home. And then I’ll be right back out for some gay boy and Guinness. And you, of course. Can’t wait, Farmer Joe, I really can not wait! جب أن تذهب أبعد من ذلك! الحصول على حلاقة! So that was why. Must say, I do get some splendid offers of menages. Mighty. Speaking of cab men, not a fan. Sunday, had to get a cab to a DJig. Only about a ten minute walk. Carrying DJ gear though. Order the cab. Jump in. Cab man on the phone. Grunts at me: Where you going my friend? Give him the address. Turns around. Why you going so near? That is not far enough. You go further! Huh? Pardon? That’s where I’m going? Quick, don’t want to be late. Buddy. Drive on! Instead of turning around on my street, he does a loop of the entire block. Cheers, ape. Driving on. Grunting down the phone. Giving me dirty looks in his rearview mirror. Cab man pulls in. What are you doing? I finish my phone call. Not safe I drive like this. You wait. Huh? What? Cab man says something in Arabic down the phone. Shakes his head at me. Big angry Arab. Starts shouting something in Arabic at me. Waving his arms. Waving the phone. What. The. Funk?! Obviously there is only one response I could think of: Hubbulla. Hubbulla. HUB-ULL-AAAAHHHH! Moved on to some bird like squawks when he started to give me weird looks. He saying: يجب أن تذهب أبعد من ذلك! الحصول على حلاقة!. Me saying: Kaw? Kaw! KAW?? Two idiots. Trying to out-idiot one another. Not the only idiot cab man that day. Guy I got on the way home was a good hoot too. Mini-bus style. Opened door to get in. Started getting in. Driver clicked on the automatic button. Which quickly shut the door on me. Now stuck in the door. Top part in. Legs dangling out. Ribs crushed by a big dopey door. Cab man not paying attention to my yelps. Finally realises. Flips the switch. Door opens. I fall to the floor. Look up. Looks back at me. Thick Russian accent: You almost broke my door. You almost broke my ribs?! Get out. You get a different taxi. Get out!!! Apes all round. Enough of my rambling gibber. Time to write le sequel. Once that is done: Homosexual Guinness for everyone! Go on the apes. Rise up. Rise on!!! 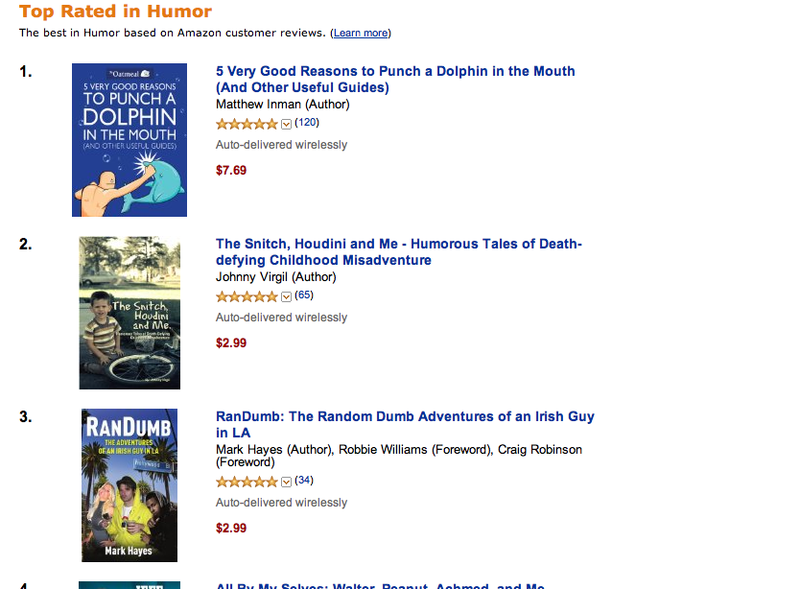 Buy Randumb on Amazon here -> Ape!